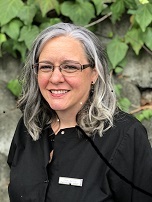 Team member since 2017: Cheri has been working in dentistry since 1995 and received her RDA in 1996 after attending the Dental Assisting Program at SRJC. When she is not helping our patients to get the best insurance benefits possible or assisting the front or back office with a myriad of task, she enjoys spending her time with her husband and four children. Cheri fills her time with PTA, church functions, outdoor activities and helping her friends and family. Team member since 2003: Claudia has been assisting Dr. Hammer faithfully since he started working in dentistry. 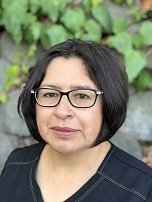 Family is a big part of Claudia's life; she and her husband love spending time with their two sons and two dogs in activities such as walking and exploring Sonoma County. Claudia's extended family in Mexico also receive annual visits to keep her close to all those she loves. Team member since 2010: Crystal feels that the best part of her job is making our patients feel welcome and guaranteeing they leave with a smile! After moving to Sonoma County in 2005, Crystal and her partner extended their family size to five, with the addition of three energetic and engaging boys. Her family, friends and the Giants are a big part of what keeps Crystal entertained outside our office. Go Giants! 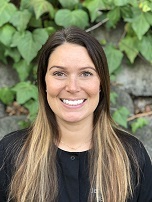 Team member since 2017: Jenna started out occasionally filling in for one of our hygienist, but she is such a joy to work with that we asked her to work part-time with our office regularly. She is newly and happily married and says she enjoys getting to know everyone she meets. Team member since 2017: Katie, though camera shy, is a very bubbly and boisterous assistant to Dr. Bonin. 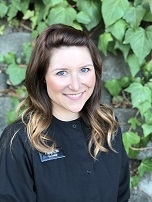 She was born and raised in Sonoma County and says she enjoys giving patients a reason to smile! When not hard at work in our office, she enjoys antique cars, being outdoors, playing sports and cheering on the Warriors and Raiders. Team member since 2009: Everyone loves Krista! Besides her husband, new baby daughter, two doggies and close family and personal friends, every patient that meets Krista immediately feels like they are her new best friend. With her unstoppable energy, Krista enjoys volunteering her time to her church and soaking up the sun or water skiing at the lake. She is also a die hard Giants Fan! 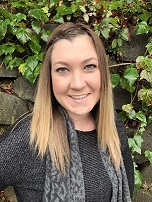 Team member since 2018: The newest member of our team, Kyrsten, has worked in the dental field for over 3 years. She enjoys spending time outdoors camping, fishing, going to the beach and the lake. Family and friends are very important to her, and she has a very welcoming personality, which is obvious in how she treats everyone new she meets. Welcome to our dental family! 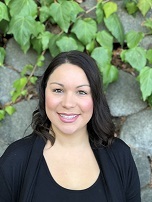 Team member since 1997: Missy first started working in our office more than 21 years ago as an assistant and returned as a hygienist after graduating the SRJC Hygiene School. A long time resident of Sonoma County, she and her husband spend most of their free time outdoors and cheering on her three children at their favorite sporting event. Missy and her family also enjoy hiking and going to the beach. Missy loves to help our patients keep their smiles big and beautiful! Team member since 2012: Terri works part-time with our office, but she is so well liked that she fits in as if she is here every day. 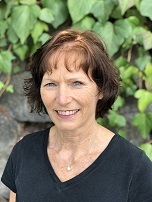 Terri has worked in the dental field for over 30 years and brings all her expertise to each patient she sees. She has 2 Giant Schnauzers and loves the outdoors.